Extras Support Staffing practices a progressive approach to Human Resources. We firmly believe that employees make their best effort when we are sensitive to their needs, treat them with respect and provide them with benefits that are conducive to long-term employment. 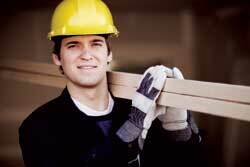 We offer a supplemental insurance plan to employees who have worked for ninety days. Other plans can be offered to our employees as per client specifications. In recognition of employees who work for us over an extended period of time, we offer yearly vacations to eligible employees who average 37.5 hours per week during an anniversary year. Employees are our best resources for recruiting new employees. Our referral bonus is $25.00 paid to the employee referring a new employee who works for Extras Support Staffing for at least ninety (90) days. Extras Support Staffing cares about its employees. We are proud of our work and proud to serve the people of West Virginia with the best possible staffing solutions.